The leopard in me - Do You Speak Gossip?Do You Speak Gossip? Hello everyone! How was your weekend? I hope you’re having a great start of the week. I have another outfit post from Nafplio ready for you. This one and the one from the previous post are some of my favourites so far. I hope you like them too. I had this skirt in my closet for more than 2 months, but hadn’t worn it until now. In fact, I totally forgot to include it in my post with the new things I bought in the beginning of autumn. I was thinking of a way to make a more special outfit with this skirt, apart from the obvious one (another black and white outfit), so when I bought the leopard top I thought I’d give it a try to see how it looks with the skirt. And I think I loved the result. But I’ll be waiting to hear your thoughts about it. Note that this post is super picture-heavy. You’ve been warned! Zara coat, top and skirt, D&G bag, Killah booties, Donna Karan sunglasses, local jewellery shop earrings (Voila), H&M necklace, vintage watch, and Accessory Crossing bracelet (gift from my dear blogger-friend Denise). Once more, I forgot my skin-colored tights home, so I decided to go bare-legged. Luckily the weather was good enough to allow me do such thing. I must confess that is was the first time that I wore so much jewellery together, as I don’t usually wear that many. But it was edgy in comparison with my usual looks and I liked it. Despite my initial thought to keep the outfit simpler, I decided to wear the bracelet too, and to even wear it on top of my leopard blouse for a more special touch. Really different from what I would usually wear, but I chose to take that “risk”. Can you tell that I was really excited about this “photoshoot”? I bet you do. But I believe that the outcome of the photos is really impressive. Wish I could take similar pics in my city too, but it’s much more crowded, and I’m so shy when it comes to “posing” for pics, especially in front of other people, who usually stare at you. One more outfit post left to show you from my trip, and then I have to show you some fresh ones. But believe me, I needed that break from the outfit pics, and it couldn’t have come in a better period, as I have really short time to do what I want these days. I’ll soon explain in one of my posts. I hope you enjoyed reading this post. If so, all you have to do to show me your support is press one little follow button on the left sidebar. Every follow/like gives me the greatest pleasure, and strength to keep going with this blog. Huge thanks to everyone. Have a great day! W-O-W!!!! I said this word out loud when I saw your pictures! 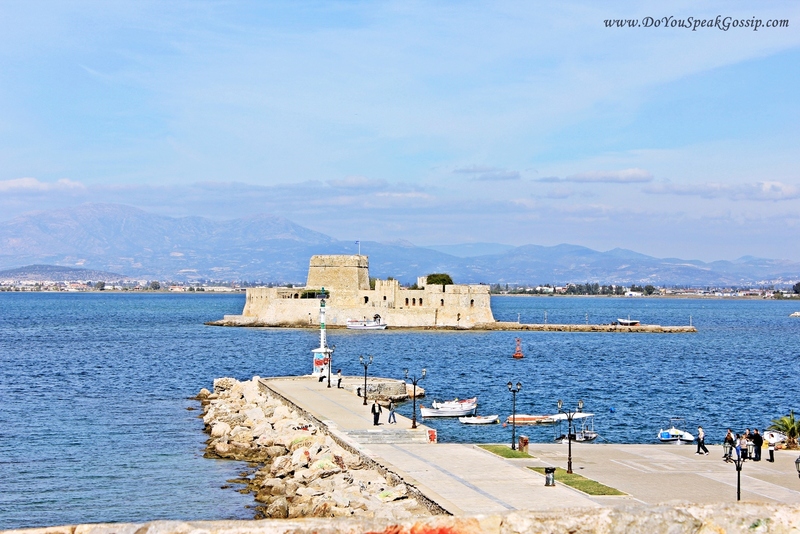 Vogue Italia went to Nafplio to photograph you? I didn’t know it! Because this is the only way to describe your photos! You look amaaaaaaaazing! Veeery beautiful! So now I have as my favorite outfits the one that you wore to a wedding (the green/pink one shoulder dress) and THIS ONE! I love the skirt, together with the leopard top and the booties! All so elegant, so classy! If Vogue Italia didn’t photograph you, then the it-girl was pictured by paparazzi when arriving to her holidays in Cannes/Nice!!!! Matching the outfit with such a classic, like that beautiful coat, was a great inspiration! And I am so honored again, thanks for mentioning me again!!! I’m so glad you liked the bracelet! Filakia pollaaaaaa and waiting for the other “Nafplio outfit”! I put a lot energy and love to this “photoshooting”. From putting this outfit together, to scheduling the right time for these photos with T , and trying to be more loose for these pictures. It was really exciting and a huge step for me (as I’m a really shy person in real life, as I told you). It’s definitely one of my favourite outfits too, and the photos in my opinion were fantastic too. I felt so elegant in this outfit, wearing 12cm booties, and pencil skirt, with leopard top, early in the morning in Nafplio. hehe… Wish I could do it all the time without having people staring at me and judging my clothes and shoes. Wow the skirt is amazing! Wow! J’adore le leopard! C’est toujours tres style! S’euxaristw para poli!!! 🙂 Fantastiko to meros…Aporw pws den to eixa anaklipsei kai tin proigoumeni fora! Love the skirt with the animal print top! Thank you Alina! I know you have the same skirt, and you always style is perfectly! Of course you have a gorgeous body! Gorgeous outfit, I love the leopard top and the background is beautiful. Your leopard top and two toned skirt looked brilliant together, a fabulous pairing! Great combination!! Love your skirt! alessandra mazzini recently posted..Who said stripes? Όμορφο το ντύσιμο σου και μου άρεσε το λεοπάρ που δεν το συνδύασες κλασσικά με μαύρο αλλά με ασπρόμαυρο!! Έκανε την διαφορά!! Καλή συνέχεια!! Φιλιά! Μοντέρνα Σταχτοπούτα recently posted..Ρούχα Forel Φθινόπωρο Χειμώνας 2011-2012. Μούσα η Adriana Sklenarikova. S’euxaristw poli Monterna Staxtopouta…Vasika ksekinisa apo ti fousta kai skeftika me ti ithela na ti sindiasw…Eipa na apofigw tous klassikous sindiasmous aspro-mavro kai etsi piga se kati diaforetiko…Alla mou arese! Kali sinexeia kai se sena! Filia! Καλά το παλτό σου είναι υπέροχο! Γενικά όλο το outfit τα σπάει! Και το μέρος μοναδικό! Πολύ ωραίο το style και το blog σου! S’euxaristw para poli Kate! Poli xairomai pou sou arese to blog mou! This is so great combo. I would never be so brave as you to make this mix&match, but I should do more pattern mixing&matching, because it’s so fabulous. Those skirts are gorgeous. Darling, You look amazing! La jupe est superbe! J’adore! Very chic! I love the skirt, it looks awesome on you. What a cute little shaped bag. Great outfit. Amazing skirt! And I love how you’ve combined it, very surprising! SOLD OUT FOREVER recently posted..BE YOU. you look lovely and that is a very nice skirt!! Their is a giveaway on my blog I think you will love, please pass by to enter. πολύ ωραίος ο συνδυασμός του λεοπάρ με το ασπρόμαυρο! of course i love the leopard, but your coat is amazing! totally minimalistic, and it’s fabulous!! One of your best looks so far I think! I love the combination of the top and skirt and your coat is very chic! 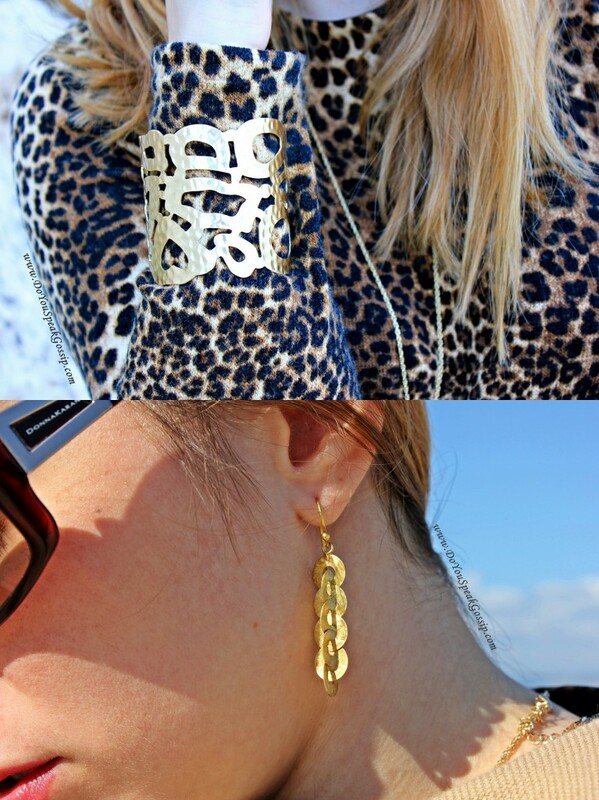 LOVE LOVE LOVE ANIMAL PRINT! Your outfits are beyond cute-I am going to go try to recreate some of them, i hope you don’t mind! Thanks for posting the pics!